The growing gap between the number of male and female teachers has been well-documented. Just as we bemoan the paucity of women in positions of economic and political power, we should bemoan the paucity of men in positions that provide nurturing and guidance for young people of both genders. Male role models are becoming increasingly scarce in Canadian classrooms, and the demographics indicate that the current low numbers will continue to decline. While general statistics are open to flux and are often several years behind reality, it is clear that male teachers in elementary and middle schools will soon be a thing of the past. Secondary schools fair a tad better, but males are an increasing minority within the teaching ranks at all levels. So, back to my observations — I was struck, recently, when I quietly snuck into the back of the West Vancouver Teachers’ Association Professional Development training session and realized I was the only male in the room. In fact, in several different sessions and meetings I have recently attended, I have noticed the male/female gap is quite pronounced. In West Vancouver, we have recently started a teacher leadership series open to all teachers K-12; 19 of 24 teachers in our Leading Learning Teacher Leadership Series (K-12) are female. This year I have become a board member for Learning Forward BC (formerly the Staff Development Council of BC). This group is one of the primary cross-role professional development organizations in the province; 9 of the 11 board members for Learning Forward BC are female. Of our professional development representatives in West Vancouver, 26 of the 28 are female (as of last fall). Of our school-based administrators, 21 of our 34 administrators are female. Just prior to Christmas, I compiled a list of the edu-bloggers in BC — teachers, administrators and other professionals who were regularly blogging about K-12 education. At that point, I found 29 of 36 edu-bloggers were male. I also did a quick count of those following me on Twitter and the male/female split is exactly even. This is the first year I have really noticed the gender gap at teacher leadership events. It has really shifted quite quickly. Just 15 years ago, it was almost unheard of for female secondary school principals — in many ways we have made huge, positive strides. As I started to think about this topic, I saw it through the lens of the changing face of leadership, it is really just that the leadership is becoming more reflective of the changing face of our profession. 2009/10 total teachers (FTE) 33053.7: 22508.2 (female), 10545.6 (male). Here is the link to the full data from the BC Ministry of Education. This imbalance will have effect on boys regarding learning. TED did an interesting post this past week (which you have probably seen- but worth a repost). Thanks Rob. I hadn’t seen this video. It is great. A must see for parents and elementary teachers. Love the tangible suggestions of how we can better engage boys. Not sure how we get more men teaching in elementary schools. There are cultural values associated with the teaching profession which would tend to encourage more women to enter the field than men, but these cultural values have remained fairly constant over time haven’t they? I mean, it’s not like we treat women radically different than we ever have, or that men are significantly different than they were a generation ago. 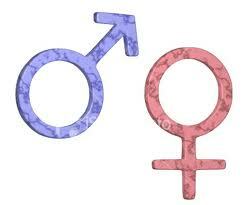 However we see this change in how different genders are joining the profession. What has changed? Do these numbers match the numbers associated with bachelor degrees? In the TED talk linked above, Chellman indicates that some universities are seeing as much as 70% of their enrollment is women. Given that women are getting nearly 2/3 of the bachelor degrees, does this suggest that we should see more of them entering fields after that require a bachelor degree? I’d say the answer is yes, and that were we to do the same research in other professions which require a bachelor degree, we’d see a similar trend occurring. Yes, the TED video adds an interesting layer to the conversation. I have a belief, though, that what we are seeing in education with a growing gender gap is more pronounced than in other professions. I also think that it may be a bigger issue. In some professions there is a greater importance that those in the profession are representative of the population – and I think one of those areas in education. Just like I think it is important that we have a diverse police force (gender, culture etc.) I think the same for teaching. Maybe it is a naive bias, but I think it a representative gender balance is less important in who my insurance agent or account is, than who are the teachers at the local school. While we can be concerned about the growing gap of men in schools, we should also note what positive strides have been made in the last twenty years with women teaching high school math and science, and assuming more positions of formal leadership in the system. So, if our goal was to increase the number of male teachers, what would we do? Very interesting. I would be interested in knowing how the gender gap plays out across teachers in different divisions, too. For instance, here we tend to have fewer teachers in the primary division and as you move up the grades, the gap narrows. I don’t know the statistics but in my district in Ottawa we have more females in official positions of leadership at the elementary level and I think that at the secondary level it is much closer to an even split. We have far more elementary schools than secondary. In terms of our superintendents of instruction, we have more men in that role — only 4 of our 13 SOs are female. I’m also curious about edu-bloggers. I haven’t looked at the gender gap in my reader, but I would bet that it is similar to what you observe. What does that mean? I’m going to have to look at the situation here in Ontario. Now you have me thinking. On another note, teachers and leaders here in Ottawa do not come anywhere close to reflecting the diversity of our students. Another issue. Thanks for sharing another thought-provoking post. Thanks Shannon. I think the issue of diversity is also important. There has been quite a bit of work in BC to attract Aboriginal students to the teaching profession, but still many groups are under-represented in the teaching profession. I did a quick count of the BC Superintendents and there are 34 men and 26 women. Like in Ottawa, I suspect if we looked at principals and vice-principals, we would still have more men at secondary, and an even split – or more women at elementary. Provincially, the numbers of principals and vice-principals do not reflect what we see in West Vancouver – there are still more men than women. As for the edu-bloggers – I do find more men than women interested in using social media in the classroom. Of course, we hear from Facebook that women over 40 are the fastest growing group of users. Thanks Chris, for pointing out what I, as a parent of two boys in elementary school, see as a very real concern that needs to be addressed. From a layman’s perspective, I would risk the generalization that many who choose the teaching profession do so because they enjoyed school themselves. To have enjoyed school, they must have experienced a teaching style and system that matched their personal learning and personality profile. To extrapolate that thought to gender generalizations, one might surmise that female teachers may, initially at least, teach in a manner that appeals to a greater cross section of female students than male, thus furthering the gender bias in positive school experiences and influencing the gender composition of the next generation that chooses the teaching profession. On a professional level, continue to provide pro-d opportunities and instruction for teachers in the theories of multiple intelligences and learning styles, and provide support and encouragement to teachers willing to experiment with approaches outside their comfort zone and personal frame of reference. On a student level, make personalized learning a reality in the classroom. Find ways to teach that get the kids physically active and engaged. On a cultural level, continue to seek the respect for the teaching profession that it so clearly deserves – make it the first choice of someone seeking a career direction, not the fallback choice, or the one that simply dovetails nicely with family committments. I wonder if many of those memorable, excellent male teachers of the days of yor, would actually be admitted to a University Bachelor of Education Program now? Presently, the standards for entry support a certain learning style that mostly females excel at. Unfortunately, many of our best and brightest male educators became teachers at a time when their weren’t quite so many hoops to jump. Many were just natural teachers. Moreover many of the brilliant minds in the education research group got into their areas with grades that wouldn’t even be looked at now. What is the male/female instructor ratio in the faculties of education? Kind of lonely for a male in a class of girls (all jokes aside). There is no evidence that tailoring instruction to a student’s preferred learning style improves student achievement. Effective pedagogy in a subject is largely determined by the content being taught, not tailoring instruction to learning styles which may or may not exist. There is, however, research that may indicate that boys learn better from male teachers and girls from female teachers (Thomas Dees). After reading Chris’s blog (on my lunch break of course) I conducted a little informal data gathering of my own. I asked the grade 12 boys in one of my blocks to hang around for a minute after class. I simply asked if they felt there were any differences that they had noticed between female and male teachers over their 12 years of school. Not good or bad. No names. Just, did they feel there could be considered any generalizations. Highly unscientific – granted. But the anecdotal responses were consistent with my personal experience as a student, qualitative research and with what I have found with my own son and daughter. Yes there are differences. I discussed the topic with a male colleague at work. He found it interesting that, although he had many great teachers of both genders, the one or two he connected with were males. My only point, I suppose is that the topic, if nothing else, is certainly worthy of consideration. According to StatCan, in 1987, 52% of teachers were female. In 2009 it was 66%. In the USA it was 80% – 20% in 2006. Dave – interesting your observation about the teachers your male colleague connected most strongly with. I hadn’t thought of that – but when I think about the three or four teachers I had the greatest connection with and had the greatest influence on me – they were all male. I wonder if this observation would extend beyond what is now a survey of 2. The obvious question that follows from this discussion, if it is desirable to have more male teachers (or at least maintain the current %) what has to happen? Is this an issue of the profession not being attractive to men? Is there a concern from men that they may face false acqusations (as Education Canada suggests)? Is the issue with the process to be accepted into university programs? Interesting. I haven’t given it much thought until now. Based on my own experience from K to 12, of the teachers that had the greatest influence, 3 were male and 1 one was female. Further, of the four it was the three males (all at the secondary level) that I remember the most. Below is a link to a recent Vancouver Sun article speaking about the positive influence of fathers/males. Thanks Craig for the comment. It is great to see that you are also now blogging as well. As it seems to be with most things in a complex society, this issue and the answers to it are likely multidimensional. How do we increase the number of males in occupations like teaching and nursing that have traditionally been perceived as female? Hopefully, as the status of women rises, the status of the caring occupations will also rise. Another probable component involves salaries, especially in an expensive living area like the Lower Mainland. No matter how you slice it, teaching salaries are low, and because school systems don’t have many mid-level positions, they offer few avenues for advancement. But, here is something interesting: I often tell my mostly-female ed psych students at UBC that if they want a kind-hearted, caring man, they should select from among the ranks of men in the schools, for by opting to work in a female dominated environment, they are showing that they actually like and respect women. This is a fascinating and complex topic. It raises many questions about gender and learning styles, gender and social/cultural factors, and also the role technology may be playing in some of the shifts taking place. Your gender stats are particularly interesting with respect to educators. Currently, at the Vancouver Learning Network Secondary, 60% of the teaching staff is male and 40% is female. I took a look at the gender ratio five years ago and even that short time ago, 80% of the teaching staff was male and 20% female. In our case, the men are not leaving online learning; it is women who are arriving. Could there be a similar gender shift occurring in online teaching that occurred in the secondary teacher population decades ago? In online learning leadership circles, male leaders are still far more prevalent than female leaders, but that, too, is changing. Lots of questions to ponder. Thanks for this interesting post. Great post. The issue of gender in education is so interesting. Growing up, I remember the only males in my elementary school were either the principal, vp, or they taught band or grade 6 or 7. When I began teaching about 10 years ago, all my admin were male, but I did notice there were more women in leadership positions in other schools or in board level “helping / resource” teacher leader roles. But then when my district implemented middle schools and my school became K-5, most of the males left the building. To add to your informal survey of two. Of my four most memorable teachers, two were male, two were female, but three of them were my highschool teachers. So I wonder what the elem/highschool split is. Do many elementary teachers even make the memorable list? Are they outshone by teachers who take students on trips or coach them sports in highschool? Are elem teachers remembered as the ones who nag kids to hold their pencils properly, fill in endless reading logs, and do math fact practice until they could answer 7X8=56 in a nanosecond? I left my first district after a round of layoffs, and decided to teach overseas for awhile. Awhile, became seven years. But while teaching internationally, ALL of my elementary principals were women. And all of them were outstanding educational leaders. However, none of my three schools had female directors. Also, there were far more males teaching in my international elementary schools than I have seen here at home. I remember wondering what would be in store for me when I decided to return home and re-establish my career here. And one of things I expected was more male admin again. But to my surprise, there are heaps of women in leadership roles here. And the ones who I have had the good fortune of working with, have been great school leaders and mentors. In my role as a resource teacher, I find myself working with boys more often than girls. We know that more boys than girls are diagnosed with learning disabilities, with ADHD, and are identified more than girls as having behaviour issues. Everyday, I picture that scene/clip/segment from the Sir Ken Robinson speech about school reform on RSAnimate, where the artist drew the zombie boy drooling over his desk. But there he was sitting still so he could listen to the “boring stuff” his teacher was going on about. Everyday, I think about that boy, and think about what I am doing to engage my students and make learning meaningful for all my students, including my boys. I have read Ralph Fletcher’s “Boy Writers” who argues in his book, that female teachers are turning boys off of writing because blood and guts and guns are “inappropriate at school” and that’s what boys want to write about. And so I address that in my classroom. The blood and guts can be there if it needs to be there, but the writing skills must be there too. Maybe it’s just a way to get boys to write and then they’ll move on to other topics, or maybe they’ll become Quentin Tarantino? Another thing that I have noticed since coming home is, there are more males in schools in all sorts of different roles. Last year I TOC’ed a lot, and loved it for a lot of reasons. But I found I enjoyed my days best when there was another adult in the room. Several times I was the teacher but there was a male SSA/SSW or youth and family support worker with me. One day I had a great conversation with the class’s male SSW about how valuable it is to have both men and women working together in a classroom. We spoke about how this working relationship models things like teamwork and respectful communication between men and women, and how some children, especially our younger students may not see this happening outside of their families.